If you’re planning a quiet night in with your honey, or if you are cooking meal for a date you’ll want something tasty, quick and easy and sure to impress. Voila! 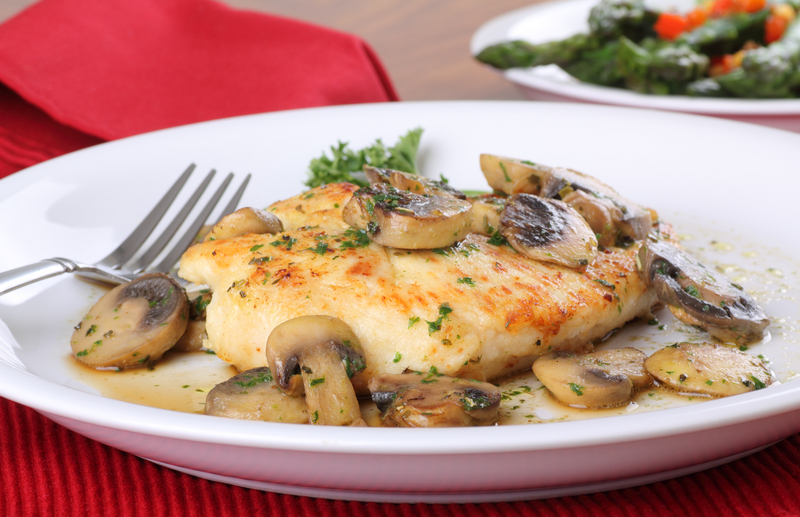 Chicken and mushrooms for two, made extra delicious with Massel Concentrated Liquid Stock. 2 large Portabella Mushrooms or 4 smaller ones, cleaned and stem removed. Drizzle 1 and 1/2 tablespoons of concentrate on the chicken breasts, turning them around for the condiment to go everywhere. Place mushroom caps on the tray. Make sure they absorb a little of the oil in the tray. Sprinkle bacon and garlic inside the caps. Drizzle the remaining concentrate over mushrooms. Place chicken breasts on top of filled mushroom caps. Brush breasts with olive oil. Cook in the oven for about 20 minutes. Add the butter, dividing the quantity equally between the two breasts and return to the oven for another 3-5 minutes. Serve sprinkled with the chopped parsley and some freshly ground black pepper.